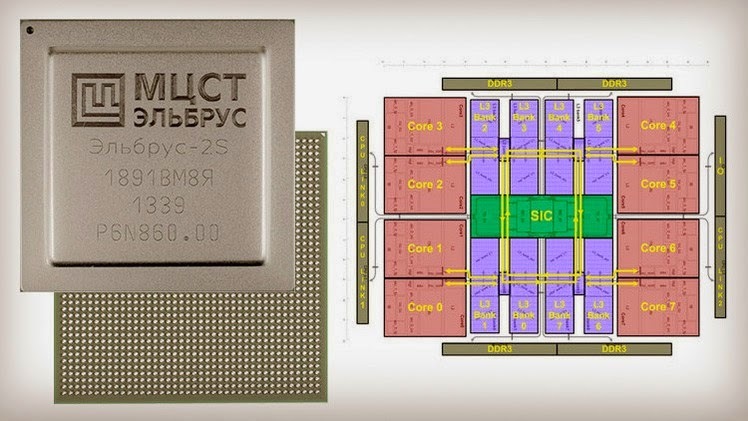 Announced that the Russian company (or Tse ST) announced the launch of a new model of the eight-core processors from model (Elbrus - 8 MSI) as quoted by Russian media, and this announcement seems that Russia is trying to force entry and competition in this area. According to the report of the site channel Russia Today, the company (or Tse ST) has launched a new model for the eight-core model processed (Elbrus - 8 S) for super computers and a frequency of 1.3 GHz. The move, which came at the beginning and at the request of the Ministry of Commerce and Russian support is estimated at 26 million dollars and aims to manufacture 300 processor of this model in the autumn horizon though it is currently manufactured outside Russian territory.